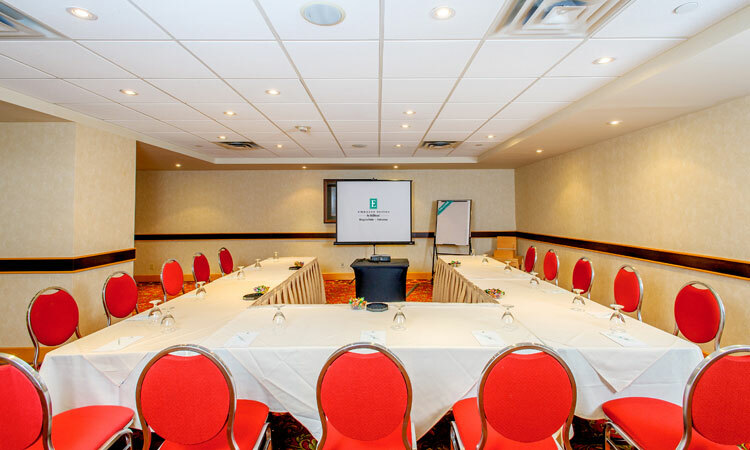 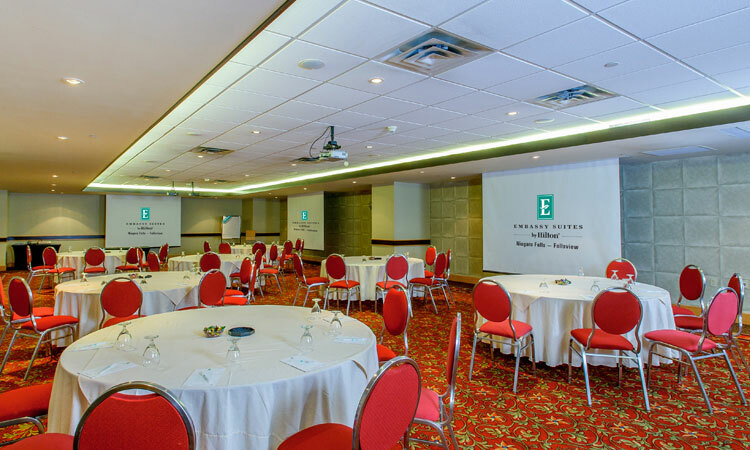 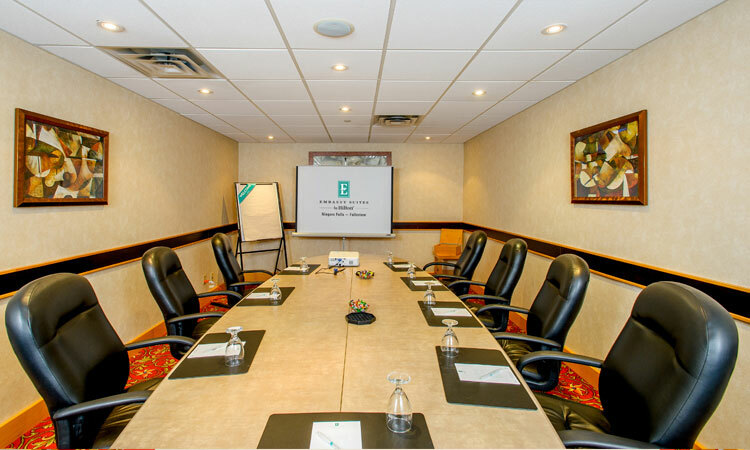 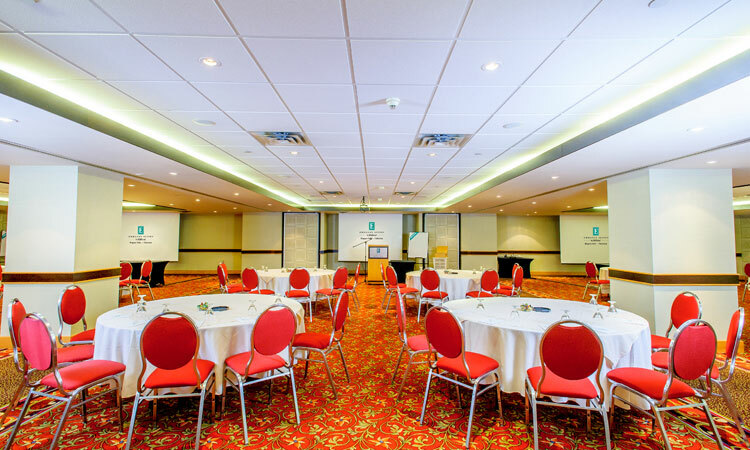 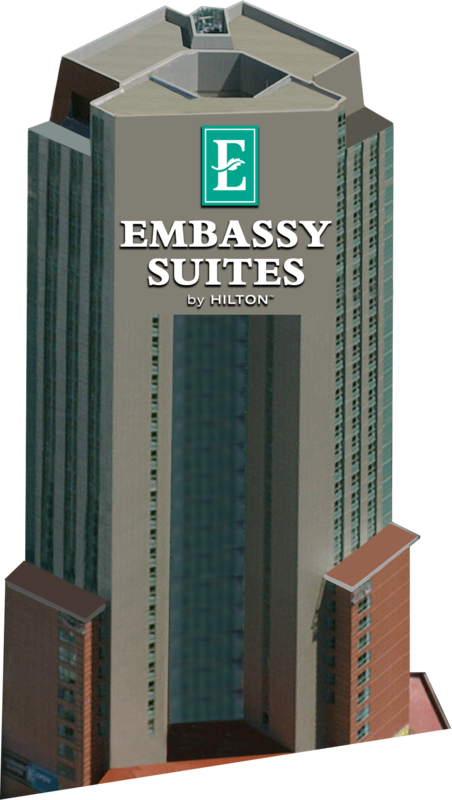 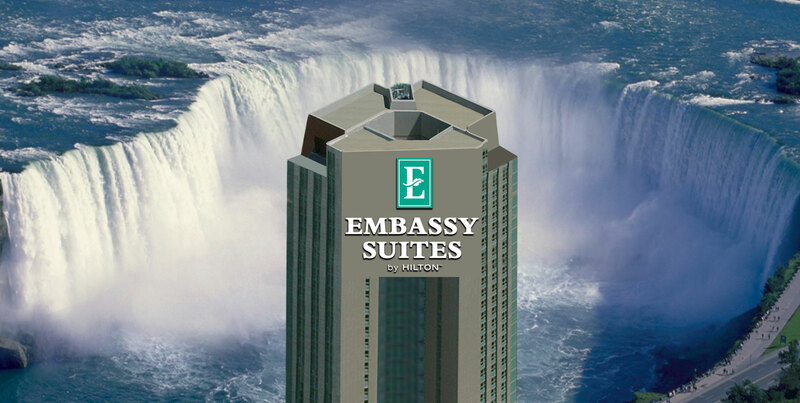 Towering 42 Storeys above Niagara Falls, The Embassy Suites Hotels Niagara Falls-Fallsview is the perfect location for your next meeting, banquet or retreat. 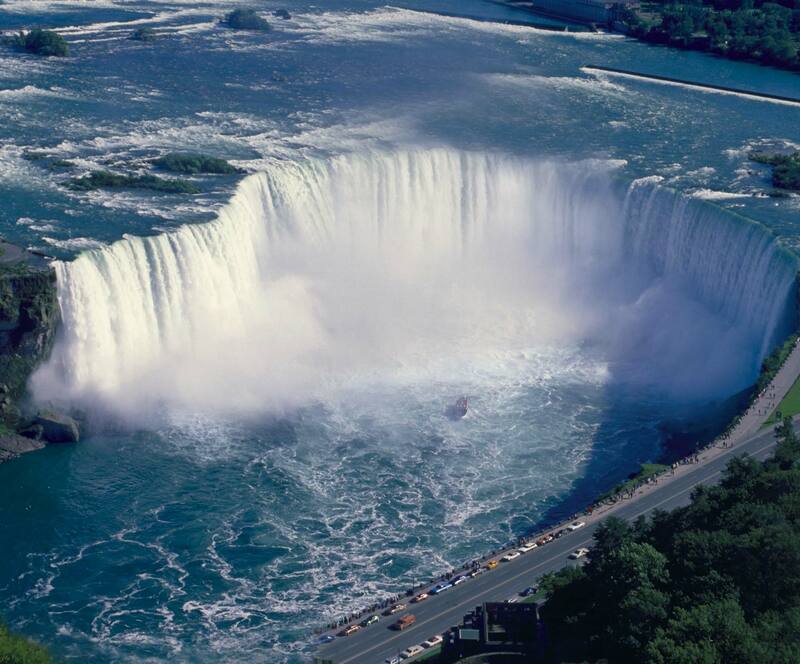 Located at the Brink of the Horseshoe falls, only 100 meters, and within minutes from Niagara's best Attractions, Dining and Entertainment. 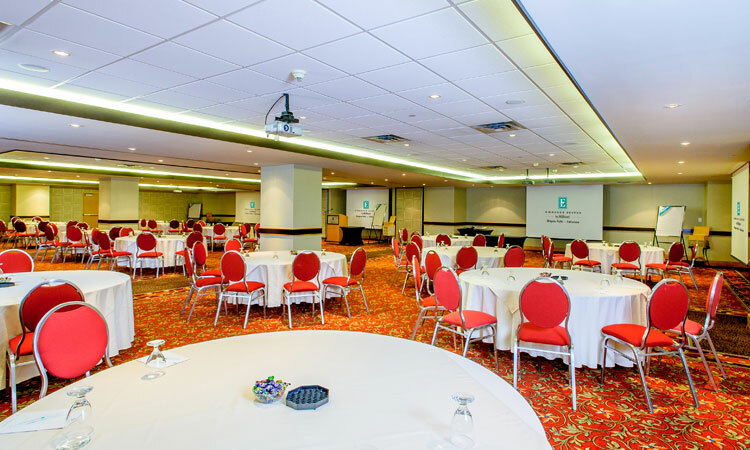 Salon A, B and C can be utlized as three seperate rooms or combined as one large general session room. 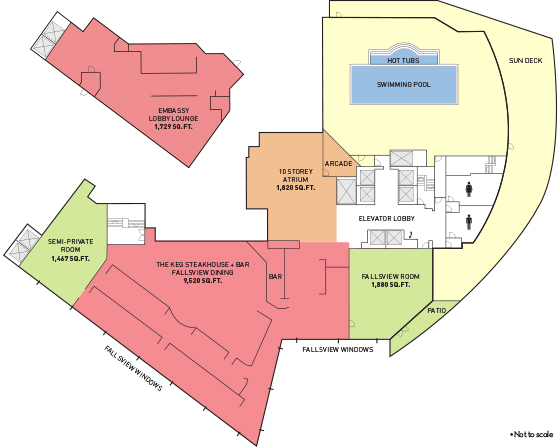 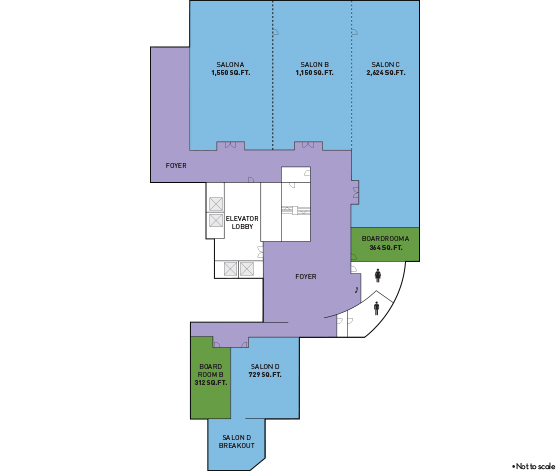 Download this image under "Capacity Charts and Floor Plans"